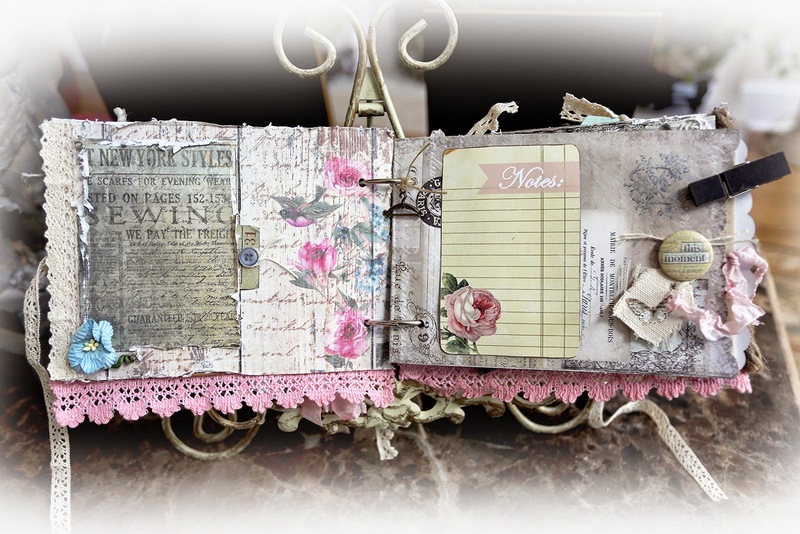 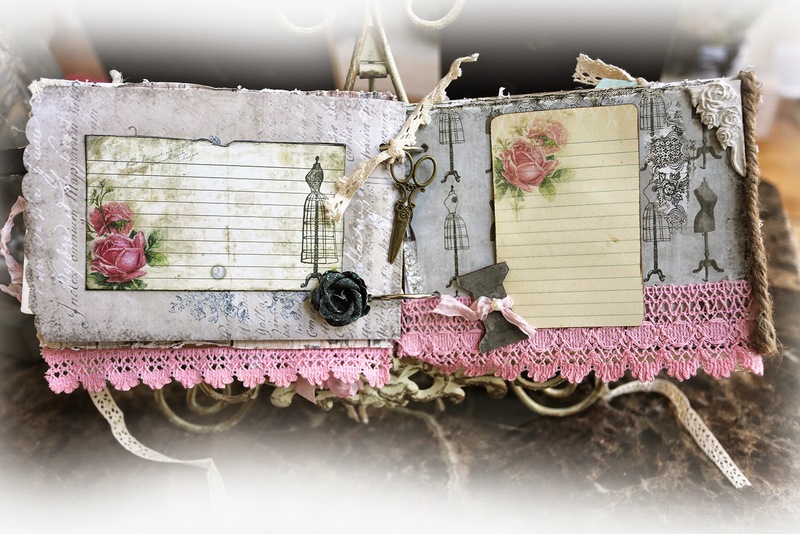 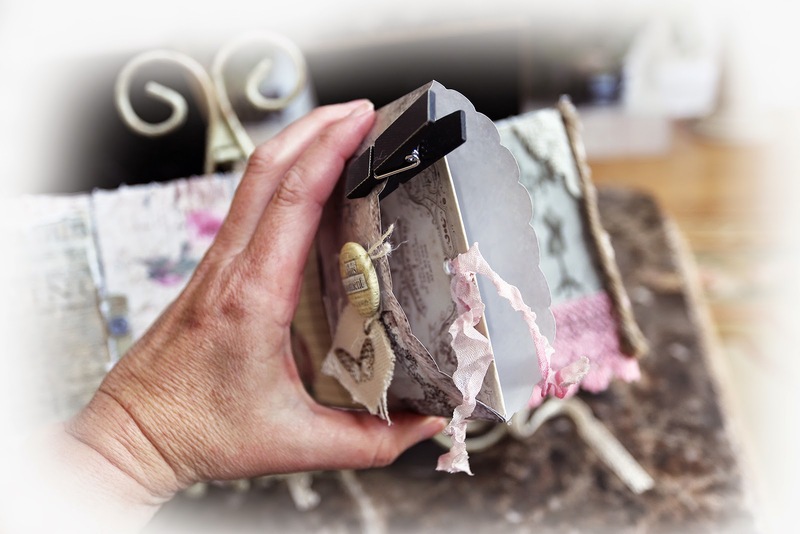 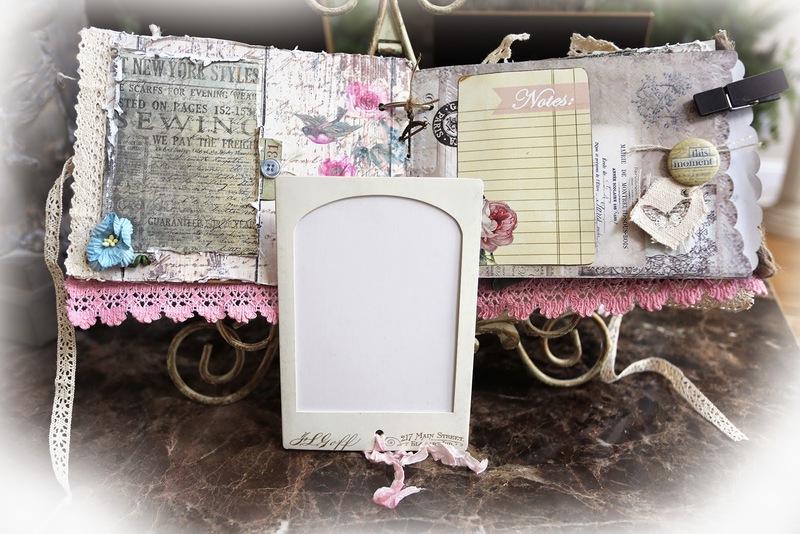 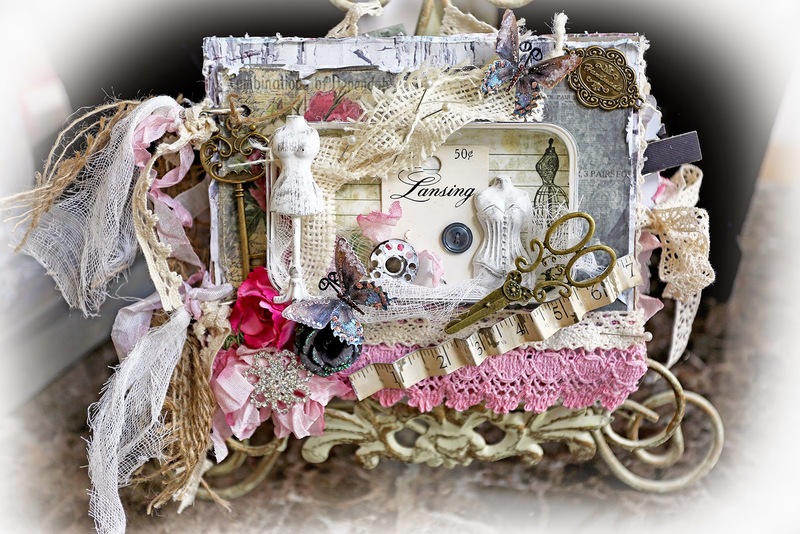 Scraps of Darkness and Scraps of Elegance: Renea's Shabby chic delight! 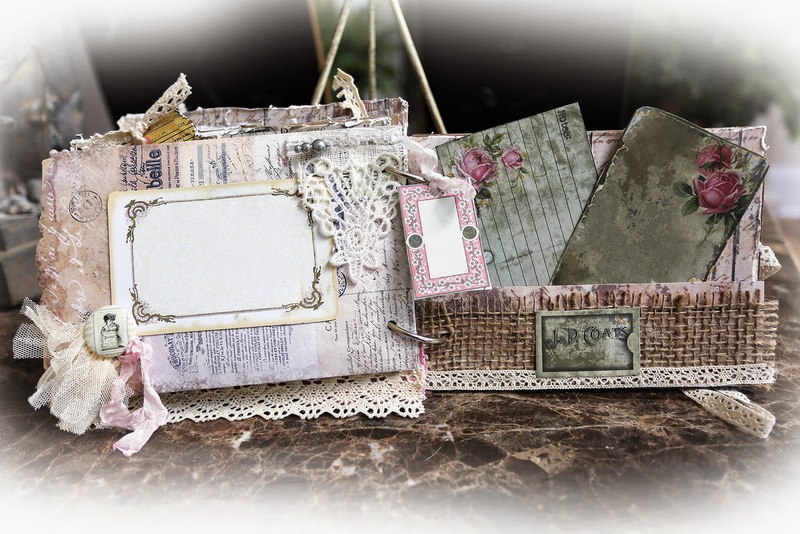 Scraps Of Darkness 'Weathered and Worn' kit! 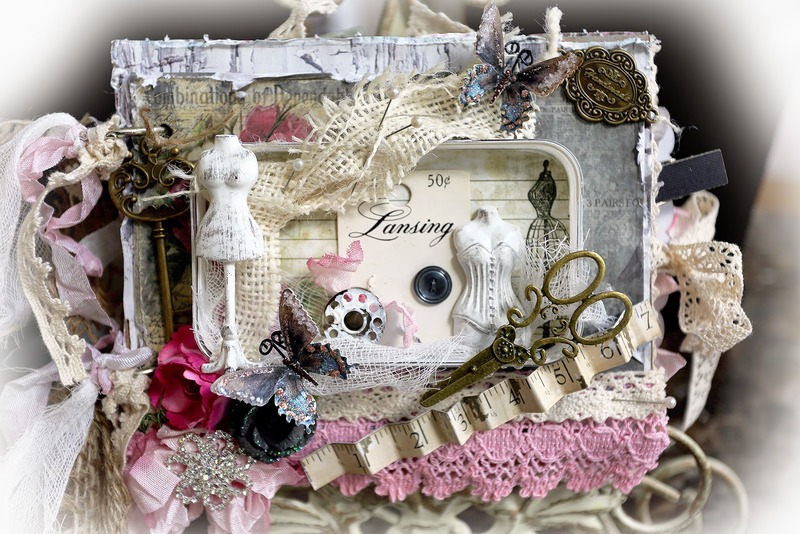 Renea was inspired by this months mood board! 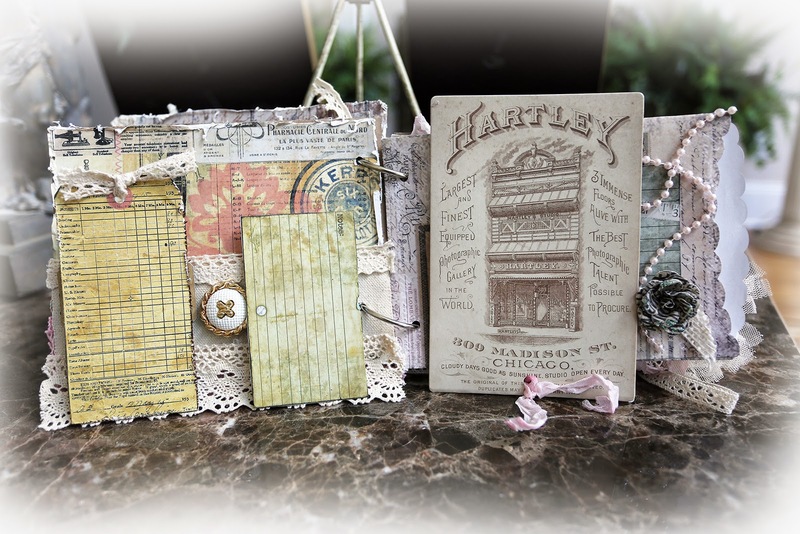 The center dimensional piece is actually a plastic phone case that She upcycled by finger painting it then layered in burlap and cheesecloth, and some Prima Resin pieces. 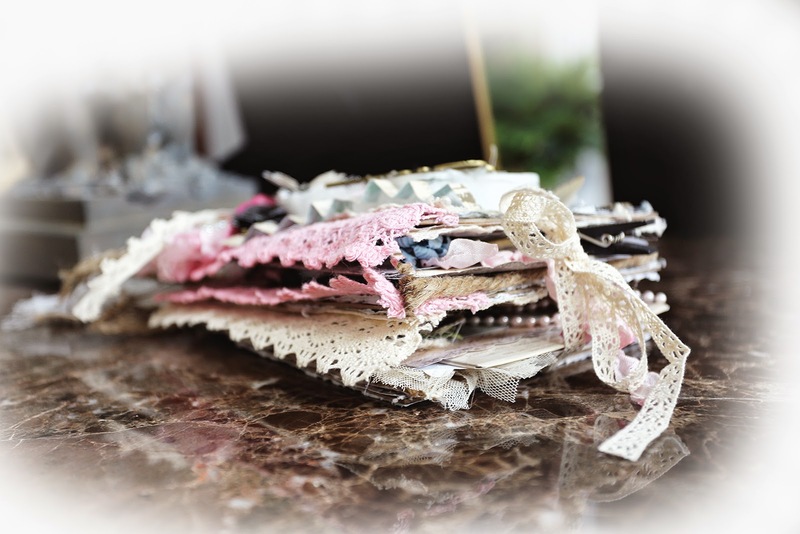 The ruler was cut from the papers and pleated, then added flowers from the kit. 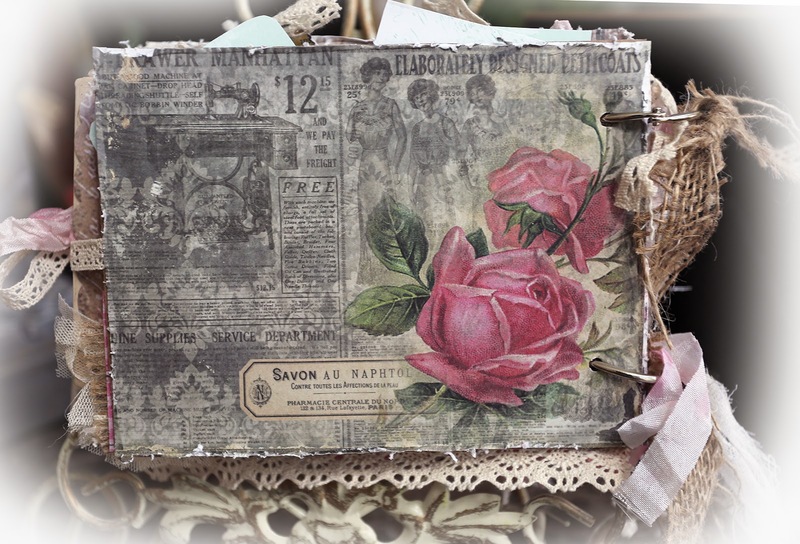 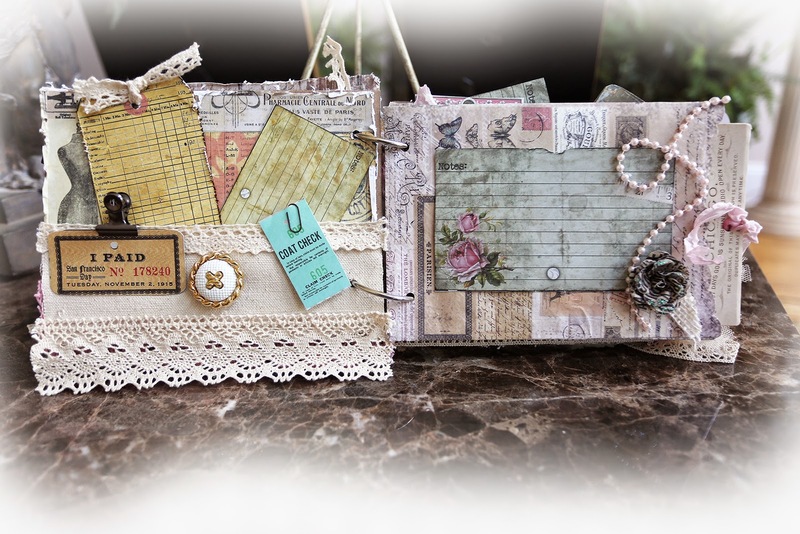 The Second Page is actually one of the Melissa Frances bags from the kit that she turned into a page pocket that houses a Tim Holtz Curio card that you can slide a photo into.